Dr. Cripe only provides tooth-colored fillings. He has worked with composite materials for decades and he believes that if is a tooth is to be restored, it should look like a tooth when the restoration has been completed. 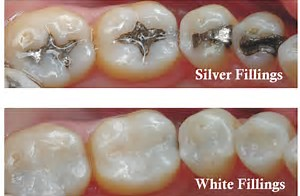 Over the years composite materials have greatly improved and they are the standard of care in the 21st century.